lovely FMQ and you didn't even trail over to connect them? are you doing it on a domestic machine? I like your pile of UFOs. the one with the drinks looks interesting! and then I love the black and pink too, pick one of those next!! 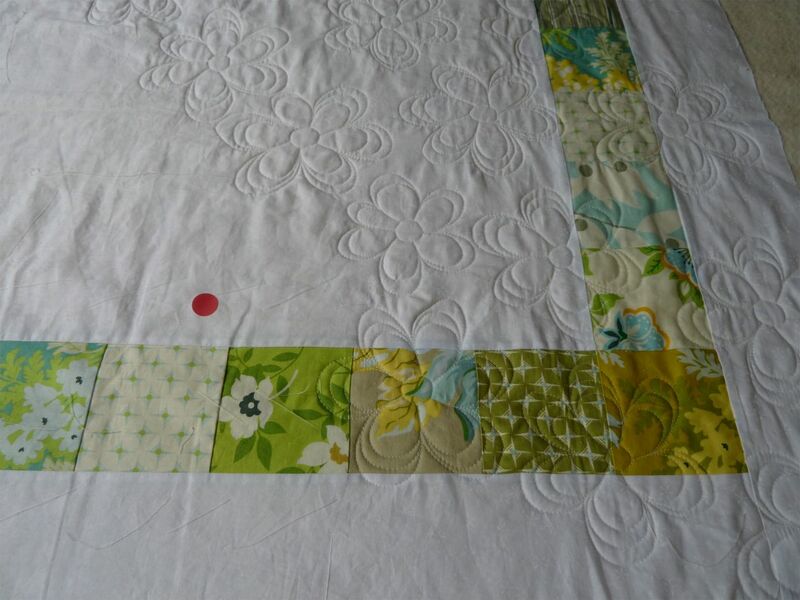 The flower quilting is gorgeous! I don't have the guts to try something so complex. Your FMQ is great! Those flowers are so pretty, that will be a terrific quilt when it is done! I have about 16 UFOs of my own... I am trying to get them done... slowly but surely! Good luck with yours... can't wait to see which one you tackle next! Love how this is coming out! Love those flowers. Great job! I'm glad I'm not the only one with an enormous list of UFOs. I wouldn't feel bad about 17 UFOs. 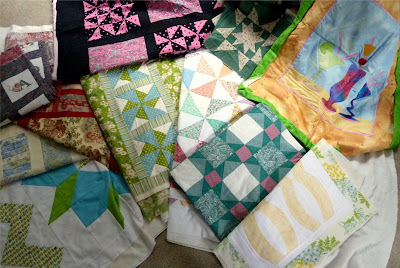 I think mine might even be bigger than yours, even after completing 10 quilts this year. I love, love, love those flowers! What a fantastic job you did! 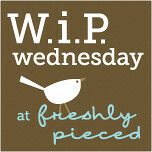 I also love your WIP pile. So many of us can relate!